Established in 1890 by Orville Gibson, the Gibson Guitar Corporation has grown into a major iconic guitar brand, being most well known for the Les Paul solid body electric guitar and the ES-335 semi-acoustic guitar. The company also owns Epiphone guitars. Its first electric guitar – the ES-150 (ES for Electric Spanish) – was produced in 1935; a pick-up being installed on an f-hole archtop guitar. From the late 1940’s Gibson entered a golden age of innovation, introducing the P-90 pickup in 1946, the ES-5 in 1949 which was the first three pickup guitar and the ES–175, which became the most popular jazz guitar in the world. To meet the challenge of the solid body electric era Gibson introduced the Les Paul Model in 1952, which quickly grew to four model types – Junior, Standard, Special and Custom. In 1958 the semi-hollowbody ES-335 was introduced combining archtop styling with modern solidbody construction. Also introduced were the Flying V, Explorer and Moderne models, followed by the SG in 1961 and Firebird in 1963. 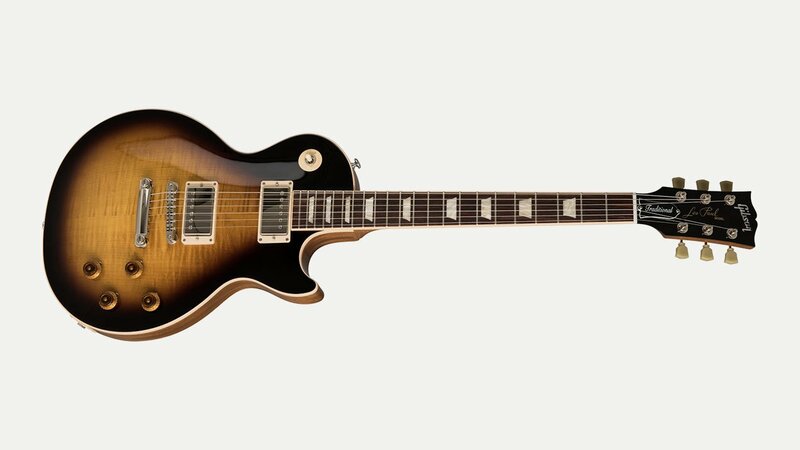 In 1974 a factory was built just to produce Les Paul guitars in Nashville – ‘Gibson USA’, the company moving its HQ there in 1984, whilst closing its Kalamzoo factory. In 2018 the company filed for bankruptcy, but managed to stay open, changing owners and the CEO.